Add it manually using the FlippingBook Publisher internal tools. 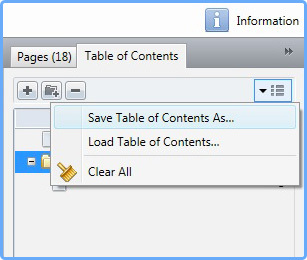 The second method, creating the table of contents manually, is useful for cases where there is no table of contents in the source document, or it cannot be imported. 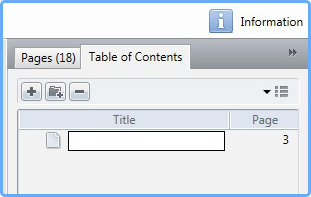 How do I import my table of contents from the original file? 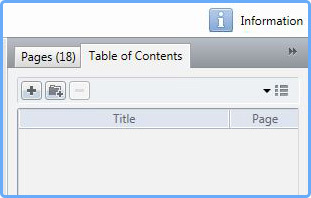 You can then edit your imported table of contents using the tools available in FlippingBook Publisher. The same tools are used to create the table of contents manually. How do I create a table of contents manually for my publication in FlippingBook Publisher? Here you can add items to the table of contents. Such a table of contents item functions as a directory for other items; it contains other items as second level items. For large publications you can help your readers by setting the table of contents visible by default. How do I prevent the automatic import of Table of Contents from my PDF?